Bhubaneswar is an old city that gets its mention in the prehistoric chronicles and scriptures. For the city has a huge number of temples it was known as the cathedral of the East. Even today, the city has some 500 odd temples and has turned to be the business nucleus and capital of the eastern state of Orissa. 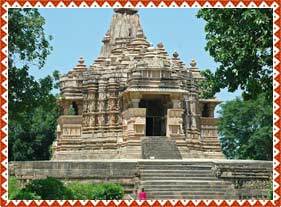 The city of temples gives you a comprehensive pilgrimage package for the tourists of the several corners of India. 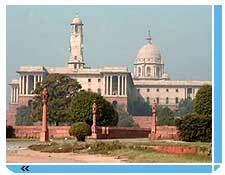 Bhubaneswar city forms a part of the famous Golden Triangle itinerary, Konark and Puri being the others. The glut of temples an and around Bhubaneswar carry with the evidence of the rich history and heritage of many centuries. the Mukteswar, the Lingaraj, , the Parsurameswar and the Rajarani temples are some of the most prominent temples over there. Lingaraj temple flaunts the most grown-up state of Indian architecture that dominates the landscape of the city. Among the few oldest surviving temples of Bhubaneswar, include The Parsurameswar temple, built in 650 AD. 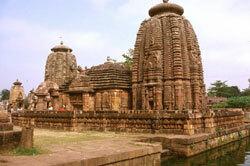 The architectural magnificence of the temples of Bhubaneswar makes your trip really remembering. Saheed Nagar Durga Puja is one of the most charming event. During Dussera festival multitude of people throng and where the Huge Efficacy of Ravana is being torched. Khati culture is famous there in Bhubaneswar. Meeting of like-minded people in a place to talk about any topic, like Mausi Khati or Keshari Khati have carved its own culture, purity and prominence. The emergence of many corporate houses like Infosys, Satyam, Tatas and Reliance has changed the lives in Bhubaneswar in general. Besides, many projects like NALCO, Indian Oil, NTPC power projects and Iffco Plant have altered the total scenario over there. This is the city that showcases the juxtaposition of antique and modern buildings. Bhubaneswar industries revolve around textiles and forms a part of India’s weaving network that extends upto NE region of India. Bhubaneswar city has many areas of attractions including the famous Chandaka Forest, a sanctuary of wild elephants. The sanctuary features India’s largest tiger and lion safari and a botanical garden. Dhauli, an important Buddhist monastery is ten kilometers from Bhubaneswar. However, you will come across many caves bearing human testimony of first century BC. It is said that once you are into, the rocks therein will talk to you and chant slokhas. 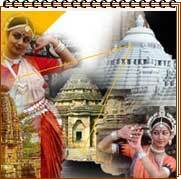 Temples, temples and temples is what is called Bhubaneswar. The veins of the city still carry the sense of antiquity. Testimonies suggest Sisuupalgarh being the site of 'Kalinga-nagara. The capital of Chedi kings of Mahameghavahana family. During that time Kalinga was an independent kingdom. Tribal Fair helds at the end of January every year. At the Lingaraj Temple and Hakateswar Temple Atri Shivratri is held. Magha Saptami is held at Khandagiri outside Bhubaneshwar. During April and May, the idol of Lord Lingaraj is taken out in procession as part of Chariot festival at Ashokashtami. In the first day of Baisakh fire walking (Panashankanti) helds in several parts of the state. Again in June and July the Rath Yatra takes place at Puri and Baripada. The city gets ignited during Kali Puja in the months of October and November and Bali Yatra in October and November. By Air: Bhubaneshwar is well linked by air to Delhi, Varanasi, Chennai, Calcutta, Nagpur, and Vishakhapatnam on daily flights. The Biju Patnaik Airport at Bhubaneswar gives connections to Kolkata and Delhi. The airport is 4 km from the town centre. By Rail: Super fast trains link Bhubaneswar to important cities of India. A major railhead on the East Coast (E Co) Railway, it has fast and super fast train links to Kolkata, Thiruvananthapuram Guwahati, Delhi, Bangalore, , Chennai, Ahmedabad, Hyderabad, Mumbai, and other important destinations of the country. By Road: Bhubaneswar is connected to rest of India by the national highways. The New Bus Stand in Bhubaneswar is on NH5, at Baramunda, about 6 km from town centre.